Tonight and Tomorrow: Showers and storms begin to slow around 7 PM, but there is a chance for a late storm moving in from the north. 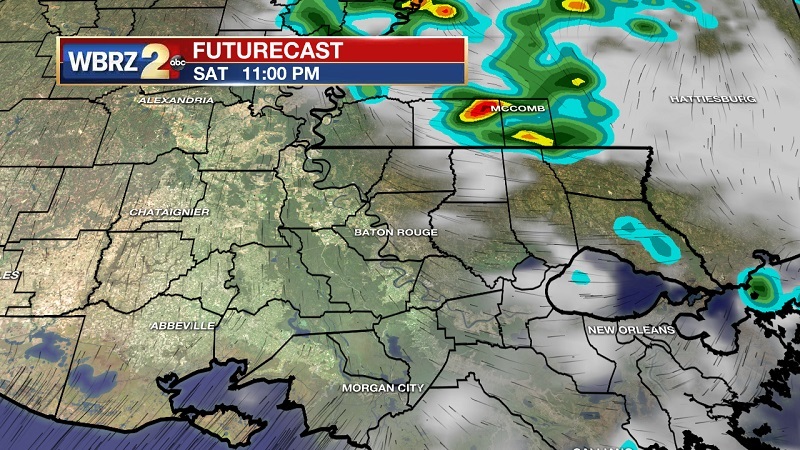 Mainly between 10 PM to midnight, and impacting counties within southwest Mississippi and St. Helena, East Feliciana, West Feliciana, and Tangipahoa parishes. These showers and storms will break up quickly as they head south and approach the I-10 corridor. Conditions will be muggy as temperatures drop to near 74° overnight. A repeat performance on Sunday, with scattered coastal showers moving inland through the afternoon. Temperatures will be warming to 90 around noon, which will help to trigger storm development and cool temperatures off through the remainder of the day. Winds will stay light and out of the south through the day. 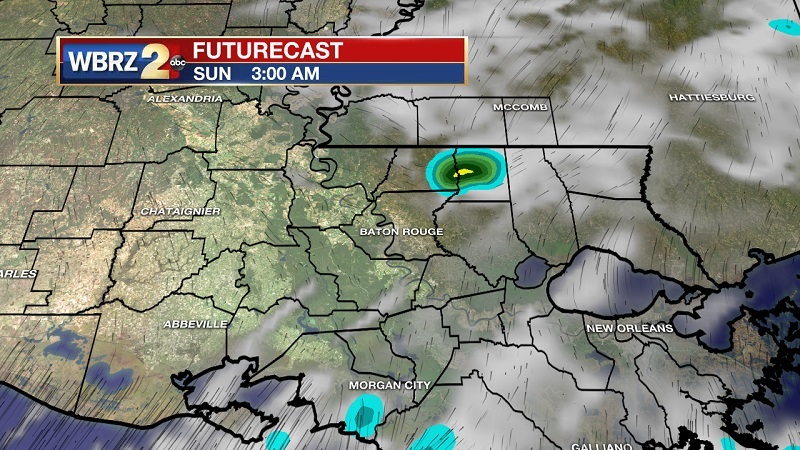 Up Next: A frontal system just to our north, and high pressure infiltrating into the Gulf will keep showers and storms scattered and mainly confined to the afternoon and evening hours. Storms will begin to slow down as we make our way through the midweek, but temperatures will stay just below average. 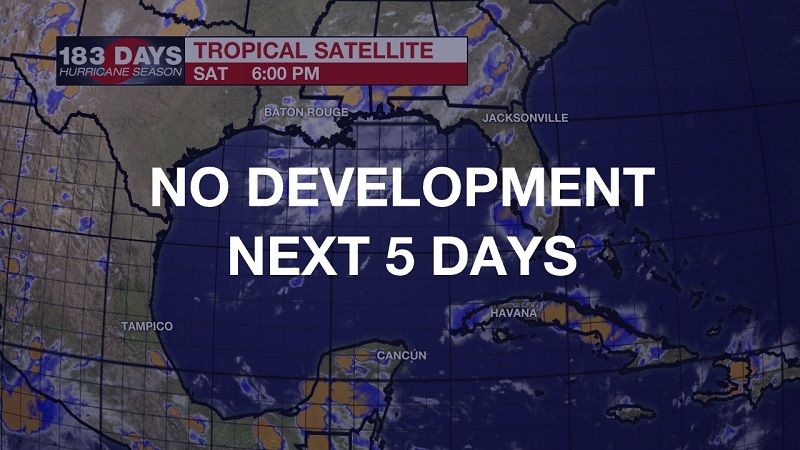 The current weather pattern is set to linger into next week. This includes an infiltrating high pressure center that is extending its reach across Florida and into the Gulf, and a frontal system that is draped over the Deep South. 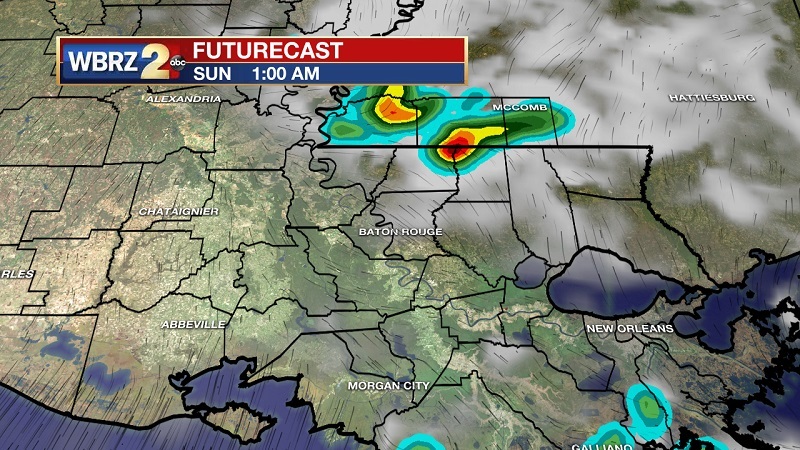 These two features will work together in order to provide widespread, afternoon storms over the next three days. Late Tuesday and into Wednesday, the high pressure will finally make it through the Gulf and approach the Gulf Coast. The high pressure’s proximity to our area will allow for drier conditions Wednesday and Thursday. Dew points through the latter half of the week will also decrease, potentially into the upper 60s by Thursday. These lower dew points will allow for more comfortable conditions, but moisture will be returning in the form of showers and humidity on Friday and into Saturday.